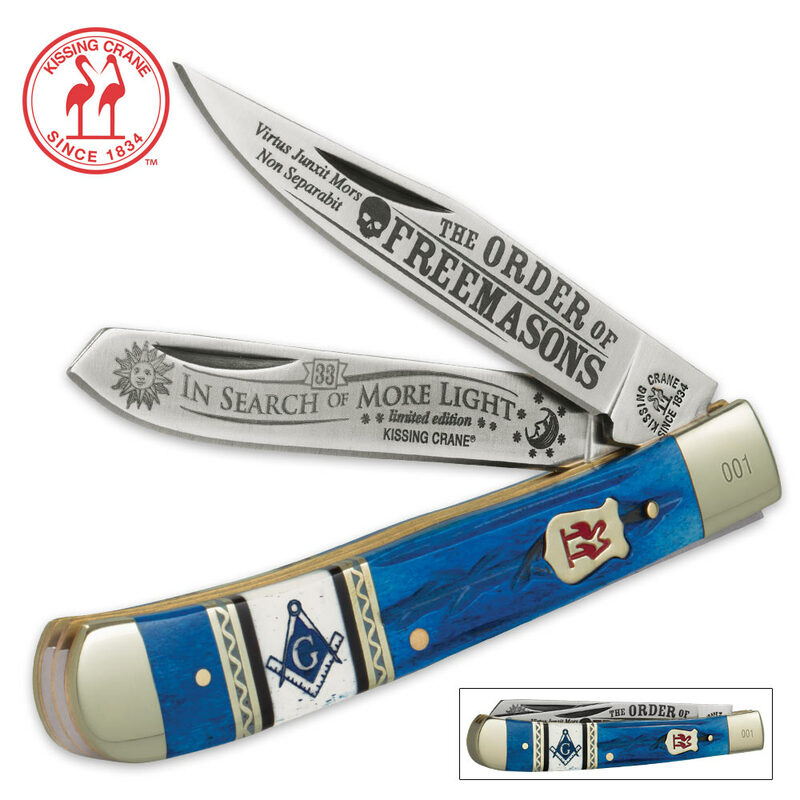 Kissing Crane Masonic Trapper | BUDK.com - Knives & Swords At The Lowest Prices! 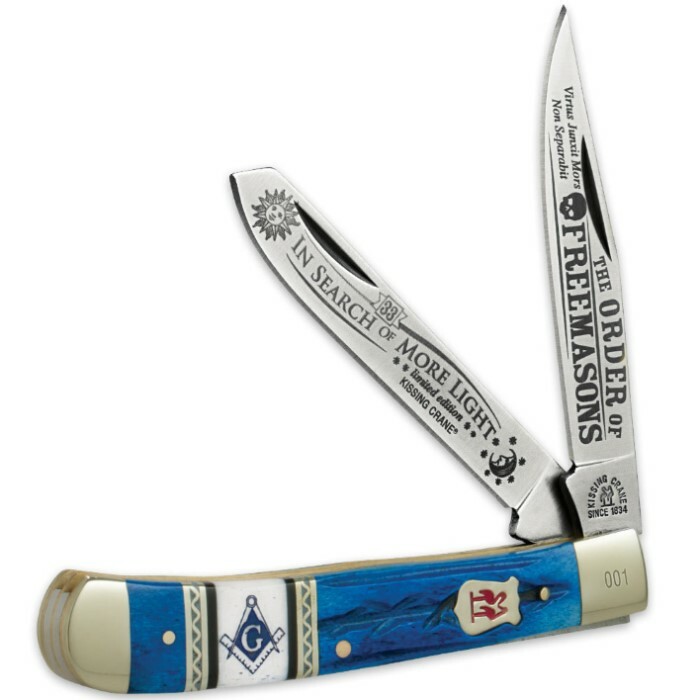 This Masonic Trapper knife is the perfect gift for the Freemason in your family. 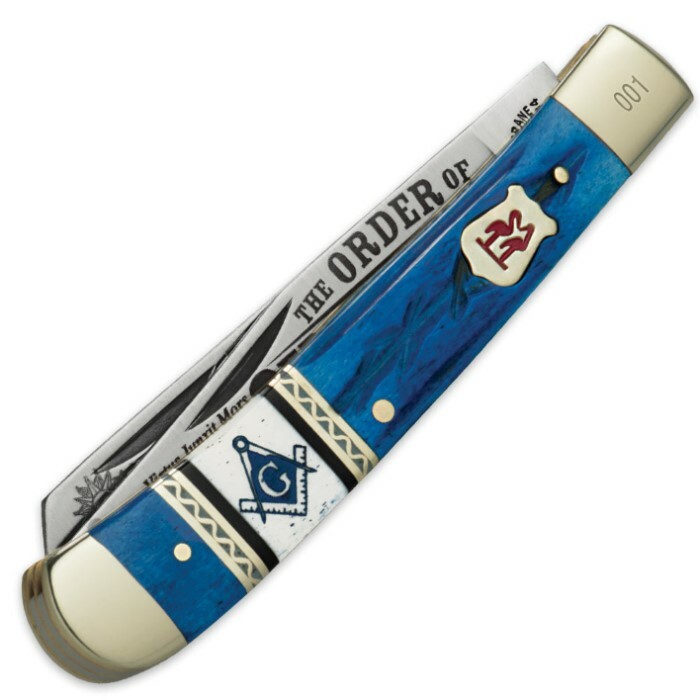 It features the Masonic crest, and the blade is etched with complementary designs. The blades are rust-resistant stainless steel and the bolsters are nickel silver. The genuine bone and stone handle gleams in a vibrant blue. Measures 4" closed.